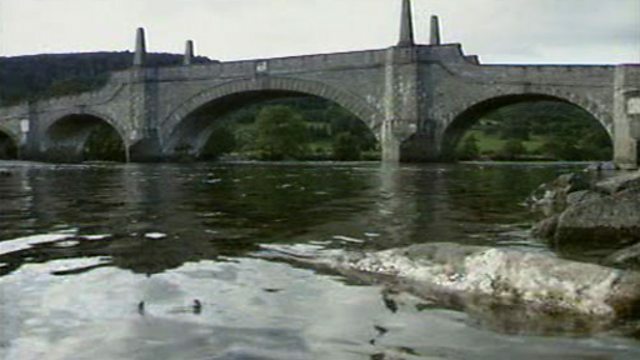 The middle course of the River Tay in Scotland begins as it leaves Loch Tay at Kenmore and ends just north of Perth. In this stage the river is carrying a large amount of sand, gravel and rocks. The river becomes wider and deeper and begins to meander. At a meander the bank at the outside of the bend is eroded by fast-flowing water. On the inside of the bend, the slow-moving water deposits silt and other material. This silt makes the soil of the river floodplain very fertile.